This stunningly, unique looking Amish handcrafted Wrap Around Bed is ready for your country style bedroom. This Early American Wrap Around Bed is available in several different hard woods, finishes and bed sizes to fit your personal needs. Sleep easy at night knowing that your Amish furniture is made in America and is strong enough to withstand generations of use. 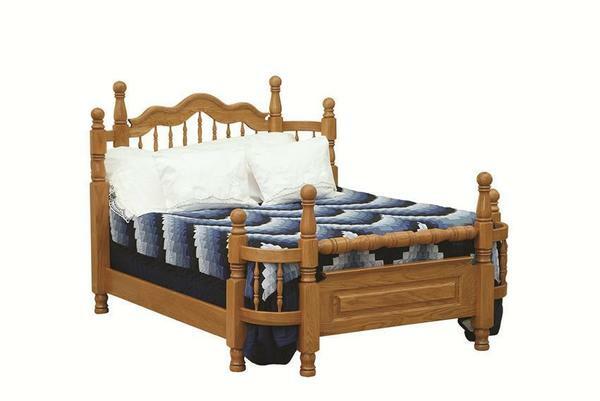 Order this solid wood bed online, over the phone with one of our friendly sales associates or at our Amish furniture store in Sarasota, Florida.